The Shining Force series has a special place in the heart of many a Sega fan, but Camelot Software Planning (previously known as Sonic! Software Planning) - the main company behind those titles - doesn't have a working relationship with IP owner Sega right now. The story goes that the two fell out after the development of Shining Force III on the Saturn - regarded by many fans to be the pinnacle of the series - and Camelot switched allegiances to Nintendo, with whom it created titles like Mario Golf and Golden Sun. Speaking at “3rd Game Business Archive” conference in Japan, Camelot's Hiroyuki Takahashi shared a few pieces of information regarding the Shining series. Shining in the Darkness - the first-person dungeon crawler which kicked off the series on the Mega Drive - sold impressively, shifting 300,000 units in Japan at a time when Sega's 16-bit console was still struggling to gain attention against the NES and PC Engine in its homeland. He also mentioned that Shining Force CD was created almost solely to gain experience of working on the Mega CD / Sega CD hardware. Finally, he revealed that he would love to work on a fourth Shining Force title. That last piece of info is likely to be of most interest to fans. A new Shining Force is long overdue; while the series has been active in Japan since the Saturn days, none of the games have had Camelot's involvement. We're sure Shining followers would love to see Camelot work with Sega on this, but we're not entirely certain there's a massive market for a new Shining Force outing. Let us know if you disagree by posting a comment. Wow this was unexpected!!! Love to see this happen. I feel we are living a second golden age of gaming all 3 big companies are doing fantastic, third parties are in general great and Indies and small projects are bringing so much variety and nostalgic to the table. WHAT A TIME TO BE A PLAYER!! Not the most famous abandoned SEGA series though. Shining Force 2 was PHENOMENAL. Yes, please! Shining Force 2 is one of my favorite games from my childhood. 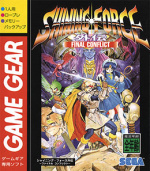 Shinning Force 2 in the mega drive/genesis is still one of my favorite games ever as well as Shinning Force 3 for the Saturn (still play them both sometimes). Recently I've been playing Shinning Force 1. It's good but I think the next two are better. It would be amazing for a new Shinning Force to happen. Since Camelot left Sega the Shinning series have not been very good. I'll be tuned to this. Camelot needs to stop making Mario sports games and return to RPGs. Nintendo is wasting their potential. I really enjoyed the shining force series way back when. The last one I played was the gameboy advance one. Oddly that one wasn’t mentioned in the list below the article. Shining Force 3 part 1 is insanely expensive to buy now (I don't think part 2 and 3 ever got released in the west) but what an unforgettable game. It's still in my top 10. The full trilogy of 3 needs translating and releasing over here. Then maybe, I'll think about a fourth game. If they rereleases shining force 3 I would buy immediately. I desperately want a way to play these games on the go. I must have completed scenario 1 twenty times! I still revisit my old Shining Force games now and again and still love them. A new SF game would be amazing. I'm sure there are a lot of fans out there who would really go for this. 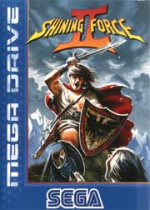 I actually prefer Shing Force to Fire Emblem - not really sure why. If Camelot has time to work on Shining Force IV between their various Mario Sports titles, they should be spending it getting us Golden Sun 4. @NintendoFan4Lyf classically, SF is more a JRPG/SRPG hybrid than FE, with areas you can explore, towns to visit, etc.--it was, generally, a more full featured experience as opposed to FE's straight SRPG focus. I will personally buy 300,000 copies of a proper Camelot-developed Shining Force IV. @Elanczewski The worst part is that their Mario sports games are not even good anymore. I loved both Shining Force and Golden Sun!!!! This needs to happen. Played 1 and 2 on Genesis, back on those days. Amazing games. Shining Force 2 for me had a huge problem for me: it was too addictive And this coming from someone who don't care much for SRPGs. Played for the last times 4 years ago and it simply amazing how the game is still so good. Timeless much like ALTP. Sometimes I just find myself wishing that Nintendo had bought SEGA way back when it exited the console market. So many great IPs that were abandoned or deserved more (SF, Sonic, Shinobi, Alex Kidd, Golden Axe, Jet Set Radio, PS, Shenume, Skies of Arcadia, Streets of Rage, etc). Shining Force good, Golden Sun AMAZING! they both are actually outstanding RPG series. I could go for some Shining again, even if it was a spin-off. It could be a $100 and be universally panned by critics and I would still buy Shining Force IV or a new Shining dungeon crawler. Shining Force II is still in my top 5 video games ever. Incredible game, really visionary. Hey I would like that and some more Golden Sun. Of course there's a market. Tactical turn based is hot right now with Fire Emblem and XCOM. Now's the time to do it. @marandahir Exactly. Dark Dawn ended with more questions than answers and I'm still curious about Light/Dark Psynergy. Might be because in Shining Force games, spells can hit multiple enemies at once, and allies (not just the healer) can heal each other if they're carrying the items. Also, maybe no permadeath too. At least those are things I appreciate about Shining Force. I've been asking for a Shining Force 3 remake (all scenarios) for the longest time. Translate the 2nd and 3rd scenario with the excellent fan translations already on the net. Would be perfect for the Switch especially with Fire Emblem at the height of its popularity. Do it!!!!!!!! I played Shinning Force way before I even knew what Fire Emblem is. They're great games that get kind of overlooked by the Fire Emblem games, Ogre Tactics, and Final Fantasy Tactics games. YES! I would buy that DAY ONE! Shining Force 4 with Switch graphics and sound would be a dream come true! @Handsomistic15 That's what has had me on my edge for the longest time. GS: Dark Dawn left on cliffhangers and I was hoping for a 3DS sequel... the only way I can be appeased now is if they develop it for the Switch(while going back to the series' roots some, namely difficulty wise). Oh please please. 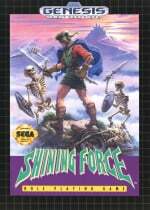 Shining Force games we're amazing and I'd also love some Shining in the Darkness on the Switch. Yes please, even if you have to make it exclusive to the Ouya it won't matter, I'll buy one just to play it! Please and thanks! I missed a lot of Nintendo gaming as a child because my cuz had a genesis. Shining force 2 was one of my favorite games as a kid I liked meeting new people and seeing who would join. Shining Force 4 would be a dream come true; all they have to do is have it be like the Genesis titles and I'd be so happy. 2 was such an amazing game. While continuing the series would be nice, I think I'd be okay with Camelot starring a new IP. Sometimes you need to make a break and try some new things, not unlike what Octopath is trying to do with semi-retro but pushing some new ideas. To me this is what the Switch represents. A new Shining Force game? Yes, please. Make it happen, people. Release the entirety of SF3 in languages outside Japanese, first... Outside Japan only got Part 1! But yes, SF4 would be awesome too. New Golden axe, Altered feast, fantasy zone, yes yes yes please. Besides Fire Emblem ruling the west, there's still been other games from the genre flooding over, so I see absolutely NOTHING wrong with a new Shining Force coming from the original devs who started it. I only played the series myself because a friend of mine (who I turned on to Fire Emblem) recommended this series to me (didn't play Genesis and much SEGA back in the day). So I'd be delighted to see a proper new SF come out. We never did get the DS Shining Force Feather which was pretty good. I played Shining Force 1 and 2 long before I even knew of Fire Emblem. 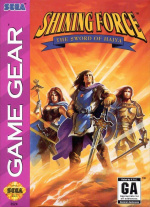 While I love Fire Emblem, I would love to see another proper Shining Force game. I played the Wii VC Shining Force for over 10 hours. Loved it. And if they ever saw a re-release I'd buy them again. Great games. Fire Emblem has proven the genre is still popular, and there's no reason both can't co-exist. Amen to that. At least we're getting closer to being actually able to play the fan translations on real hardware with Rhea and Phoebe. But still, strategy titles like these would be right at home on the Switch. I'd love this as well as SF3 scenarios 1-3. This would be beautiful. I really loved the GBA remake, and I having the VC allowed me to play both 1 and 2 as they originally were. I honestly didn't know there was a 3rd (Nintendo only gaming has it's flaws), so I would obviously welcome a remake of that along with a new title. Heck, the Shining Soul series has some potential too. Camelot is responsible for a ton of IPs I enjoy, so I'm good with them doing any of their non-sport titles really. I would love to see Camelot do another Shining Force, but feel a brand new entry would have to shake up the formula in order to differentiate itself from Fire Emblem. Would be great if we could get the first three games re-released though. One of my favorite franchises. Shining Force CD was the Pinnacle if you ask me. Let's do a proper release of SF3 in the west first, ok? Forget 4, translate, remaster and re-release Shining Force 3! This. I would love this. Currently the only way to do this is via spotty Saturn emulation and some translation patches. If they did a Shining Force 3 Trilogyon Switch, I'd go insane. A fourth game would be amazing too, though. @KingdomHeartsFan We have a fan translation over at shiningforcecentral.com for shining force 3, I recommend you check it out. @knight0fdragon that's pretty cool. Thanks for letting me know. Shining Force 4 would be a dream coming back to life for me! I really hope it comes to fruition! With the fact that Shining Force 3, Scenario 3 effectively ends on a Cliff-Hanger, Shining Force 4 would REALLY be a welcome event! Also, if Nintendo did all 3 scenarios of Shining Force 3 on the Switch, I'm betting that would sell like gangbusters! As is, USA players can only play Scenarios 2 and 3 via the translation project versions on emulator. Sooooo much meat on the Bone in terms of the Shining Force 3 story, and how it tied together the Shining Universe. Vandals, Innovators, Empire v. Republic, "the ancients" . . . I CAN'T WAIT for a trip back to that universe.